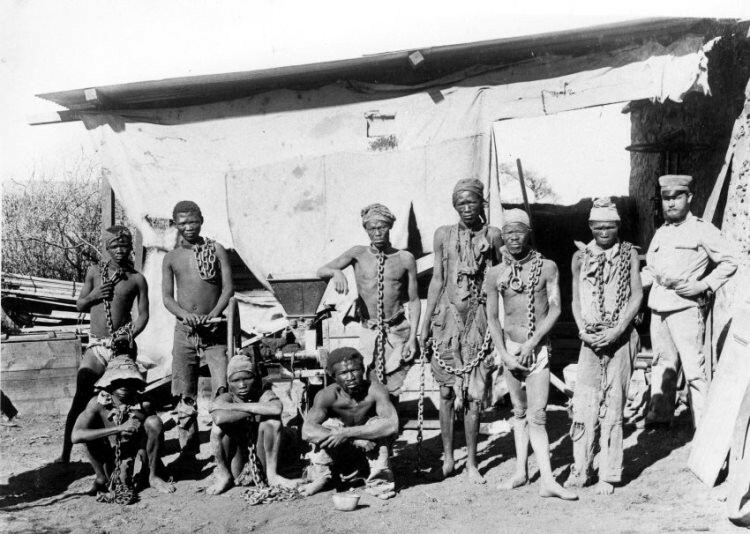 AFRICANGLOBE – German authorities are set to officially recognize as “genocide” the colonial-era crackdown in Namibia by German troops more than a century ago in which over 65,000 ethnic Hereros were killed. Talks with Namibia on a joint declaration about the events of the early 20th century are ongoing, and it isn’t clear when they will be concluded, German Foreign Ministry spokesman Martin Schaefer said Friday. The basis for the German government’s approach is a parliamentary motion signed three years ago by Foreign Minister Frank-Walter Steinmeier, stating that “the war of destruction in Namibia from 1904 to 1908 was a war crime and genocide,” Schaefer said. Steinmeier was an opposition leader at the time, and the motion didn’t pass. German Gen. Lothar von Trotha — who was sent to what was then South West Africa to put down an uprising by the Hereros against their German rulers in 1904 — instructed his troops to wipe out the entire tribe in what is widely seen as the 20th century’s first genocide, historians say. Rounded up in prison camps, captured Hereros and as well as members of the Nama tribe died from malnutrition and severe weather. Dozens were beheaded after their deaths and their skulls sent to German researchers in Berlin for “scientific” experiments. One witness described a German soldier throwing a baby Herero boy about nine months old into the air and impaling him on a bayonet — an incident “greeted with roars of laughter” by the nearby troops. 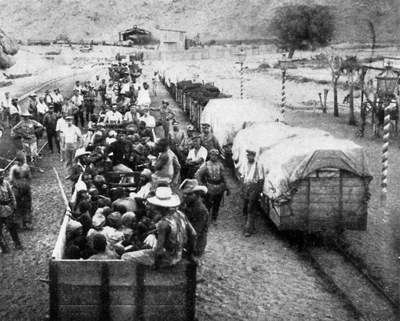 Up to 80,000 Hereros lived in Namibia when the uprising began. Afterward, only 15,000 were left. Then-Development Minister Heidemarie Wieczorek-Zeul traveled to Namibia in 2004 and offered Germany’s first apology for the massacre, which she said was “what today would be labeled as genocide.” Descendants of von Trotha expressed their shame and regret in 2007 on a journey of reconciliation to Namibia. Germany gained control of the vast desert country in 1883 and surrendered the territory to South Africa in 1915. Namibia gained independence in 1991. In April, President German President Joachim Gauck in April joined Lammert in for the first time calling the slaughter of an estimated 1.5 million Armenians by Ottoman forces in 1915 a genocide. How Could Japan Offer $32billion In Aid To Africa?